How will you help make your workplace more inclusive? Improving diversity and inclusion is one of my top priorities as Head of the Civil Service. As an organisation we have the ambitious aim of making the Civil Service the UK’s most inclusive employer by 2020. It is clear that both individuals and organisations benefit from strength in difference. The launch of the new Diversity and Inclusion Strategy sets out work we will complete to support diversity and make each and every work environment across the Civil Service more inclusive. As well as putting the right policies and programmes in place to recruit and promote talented individuals within the Civil Service, I’m asking every civil servant to take at least one action to help your department or organisation become more inclusive. Share your commitment to inclusion with your colleagues today so you can work together on making your workplace a great place to work for all. Talk about what inclusion means for you and others - Take some time to discuss with your colleagues ways to make each other feel valued and respected at work and what behaviours can help or hinder inclusion. Join a staff network - Help develop new ways of creating a more inclusive environment by joining a staff network. Your views can help inform managers and senior leaders, increasing their understanding of how to support staff and build a more inclusive work environment. Check out the Civil-Service-wide diversity networks you can join. Become a mentor or mentee - Mentoring is a great way to form new connections and share experiences that benefit your career and team environment. Why not offer to be a mentor or get mentor support from a colleague? Check out opportunities through Mentor Match or contact CS Learning. Make sure all colleagues can participate regularly in team meetings and events - Think about how you can ensure all colleagues can take part regularly in team meetings and events. If you are responsible for meetings do you always invite opinions, seek challenge and listen carefully to everybody attending? Could you organise team meetings at different times and arrange dial-in or video facilities so those working flexibly can participate? Speak up if you see behaviours that could exclude colleagues If you see behaviour that could make colleagues feel excluded please speak up and discuss it, even if it seems minor. At the same time be reflective and open to colleagues’ feedback on your own behaviour. It is unacceptable for any civil servant to experience bullying. If you see or experience this at work please seek advice and report it: www.gov.uk/workplace-bullying-and-harassment. Help your department / organisation make positive changes on inclusion by sharing your views in the People Survey - Make your voice heard and help inform senior leaders and managers of your views on inclusion at work by taking part in the People Survey. The higher the response rate, the better the department or organisation you work for can understand your needs. Visit your intranet or ask your team leader for more information. Nobody cares who they work with (straight , gay , black, white, green etc) or sits next to at the civil service. its just a box ticking exercise that only management care about. I disagree Mr F ;as there are some who make it very obvious that they do not like people of different backrounds, race or sexual preferences at work. When you have been on the receiving end of nasty comments in the workplace you would then know that there is a problem? I really wish that what you say being that no one cares who they work with was true as it should not matter what backround our colleagues come from and we are all here to do a job no matter what our beliefs ,race,religion whether gay or straight etc. As for you saying that management only care about it? well in my oinion they should care about it ! I personally think it is up to people what they believe in and people are entitled to their opinions of course; However if their remarks make a colleague feel uncomfortable or embarrassed or upset? then this is when something need to be done. Live and let live is what i say . I think you've missed the point of the strategy Mr F. Inclusion is about a lot more than who you sit next to. For inclusion to work it has to be imbedded in roles, so everyone is responsible and assuming this is taken serious by managers, then I certainly welcome the opportunity to become more inclusive both for staff and customers. It could be a tick box exercise for some but I do care about inclusion, and I’m an AO. It's not just about you 'caring' about someone else's background, it's about being professional and not letting your ideas or assumptions about that background affect the team's work. That means, for instance, someone with Asperger's/autism from another team shouldn't be subjected to an irrelevant eye contact 'test' when you judge whether you'll help them find information about your policy area. It could also mean management being flexible about a single father working from home a lot if he has to pick up and drop off kids without help. Making sure that people don't stare or gossip about a transgender colleague. Or recognising that a Catholic may need to come in late on Ash Wednesday, and relaxing the dress code so they can walk around with ash on their forehead for the rest of the day. Recognising differences in need like this makes sure that everybody can contribute to their best ability. Work is about more than just sitting at a desk adjacent to other people. If you are capable of doing a job it doesn't matter what you are. Surely that is true equality not highlighting groups for 'inclusion' or weighting. Positive discrimination springs to mind. Not sure if this is covered in the strategy but a benefit I don't see mentioned enough - which I first saw in a report in Scientific American - was that diversity drives up the performance of the 'majority' and is not only about gaining from the differing perspectives of people from different backgrounds, cultures, etc. The report detailed the unconscious reaction of all team members to knowing there are people with different backgrounds/perspectives in the room - commonly held assumptions become up for debate more, etc. Happy to give research references if useful! Am I the only person that is starting to feel a bit drained by idea that there is a problem with not enough diversity and inclusion, and that it is implicitly my fault because I'm from a so-called majority group? Everyone is responsible for creating an inclusive environment, in the same way that everyone can benefit from being included. Just because you may not have one of the specified characteristics that have been identified as being particularly underrepresented, doesn’t mean that you couldn’t have assumptions made about you incorrectly, or be excluded because of perceived characteristics. We can all benefit from being open-minded, and from building a diverse work environment that encourages expression and inclusion of difference. Personally I'm sick of hearing about diversity. Just wish someone would change the record. As far as inclusion, it isn't just about minority groups/women. Much of it has to do with individuals who are unpopular for all manner of idiosyncratic reasons, completely individual and unconnected to any given group. That is extremely difficult to combat as it can be so subtle on many levels, such that it is virtually undetectable. I am sure that you are not suggesting that it is acceptable to subject any person to discrimination, victimisation, bullying or exclusion because they are perceived as being "individuals who are unpopular for all manner of idiosyncratic reasons, completely individual and unconnected to any given group". I am one such individual; I am well known to my colleagues and many of our clients for walking the streets singing very loudly and mostly very off key. I agree with you that such forms of exclusion are difficult to address because they are subtle. However we should never let something being difficult prevent us from do the right thing. To address your first point about being sick of hearing about diversity. I am in two of the protected groups; I am a gay man and I live with a invisible disability; I have recently been diagnosed with Ideopathic Generalised Epilepsy. I also live with anxiety and depression. Diversity is important to me because fair treatment gives me equality of opportunity. It means that I am not isolated because of the conditions that I live with. Isolation can exacerbate the mental health issues that I live with. Then I am not able to work, then I have to see my GP. My abscence from work costs the country money. Diversity can help save the country money. Finally we will stop talking about diversity when there is equality of opportunity for all. Diversity champions in the civil service appear to be white male and straight typically? How many have you met who are diverse? Diversity blogs are often written by white male straight leaders too. The cabinet office needs to be measuring these things as diversity outcomes. On International Womens Day and for any other diversity blog, for a diversity champion to claim they cant find a woman or someone from the BAME or LGBT community to write the blog, is damaging to the diversity dialogue we are trying to promote. It suggests you cant find a womans voice in your department worth listening to - or cant find enough womens voices to fill the IWD panel for a single hour. The message it sends out is that only straight white men can speak on important issues. Diversity champions are their to challenge and empower - not to reinforce this message. Few seem to be trained in this distinction though? The Postive Action Programme for nationwide civil servants (G7/G6) has 22 all white candidates in the South West - how is that possible on a positive action program?! Leadership on diversity is about promoting others rather than using your own voice to speak for others. Very different to the defined CS competency on leadership - but essential to diversity. If the diversity champions dont trust us to speak for ourselves on diversity, then there is little hope. Diversity champions may have their heart in the right place, but to do the job they need training in empowerment rather than promoting their own visibility as WMS leaders! If we arent monitoring outcomes on a positive action program - then its about time we started. All-white isnt a result we are proud of. Actually, given that the civil service is predominantly white (not sure it's predominantly male in all areas) it's quite important that the "white male and straight" senior leaders speak out on diversity and inclusion, to set an example and promote culture change. By all means encourage those from BAME and LGBT etc. groups to speak up, but please don't write off the "majority" of us who are not - many of us support our departmental diversity networks, and indeed we should, to prevent diversity and inclusion being perceived as a minority issue. Hi Ms R, Many may be white and male, but are you sure they are all straight, aren't disabled, or don't have another non-visible protected characteristic? If we all support and promote diversity regardless of how others perceive us isn't that positive, even if on the surface we appear to WMS? Alan Turing appeared WMS. Ms R. I think you are forgetting that the Civil Service is a National organization and has offices across the country. In a large number of these offices, the workforce is predominantly white NOT because there are barriers in place for ethnic minorities, or because the employers are racist, but because that it is an accurate reflection of the community in which the office is based. There are towns and villages across the country where there are little, if any, minority groups and if there were a higher number of these groups represented in the workforce in these areas, then it wouldn't be an accurate reflection of the people who live there. This is a fact. It is really unfair to accuse an organization, or its employees, of racism without any real justification. Thank you for your comment Ms R. While the Civil Service is the most diverse it has ever been, we recognise that more needs to be done to increase the levels of diversity at more senior levels. Our Civil Service Diversity & Inclusion Strategy focuses on twin priorities of representation and inclusion. In doing so we acknowledge the need for targeted action to address areas where under-representation may still persist. Our CS Diversity Champions share their personal experience of diversity and inclusion as well as their leadership, influence and insight to improve policy outcomes for all our staff. "The Positive Action Programme for nationwide civil servants (G7/G6) has 22 all white candidates in the South West - how is that possible on a positive action program?! " This Ms R is why the majority of people I know HATE this 'positive' action programme, They are trying to become indiscriminate by discriminating. There is only one type of person in this country that cannot apply to these varied programme's, White British, Straight, men. Perhaps diversity and inclusion would be looked upon better by these groups, if certain groups were not neglected. The Civil Service will never be truly inclusive. Take HMRC for example, relocating offices to big cities closing swathes of offices in towns where they are the major employer and often places that are very deprived. Therefore these people are excluded from jobs in the Civil Service or HMRC unless they are prepared to travel long distances (so much for inclusion on a work/life balance basis) or if they can afford to move. So much for social mobility. These actions ensure for many, there is no social mobility. Hear hear. Concentrating jobs in city hubs impacts social mobility, and also inclusion for those with caring responsibilities (still disproportionately women) who cannot travel as freely. A very good point which seems to be consistently ignored in our 'brilliant' civil service. We need our employers to understand the disproportionate impact of the pay freeze and initiatives such as regional centres upon staff with disabilities/caring responsibilities/from a lower socio-economic background. As a result, we are losing a lot of talent and ability from the civil service as a result at a time when the service is under pressure. Actually, it is a really good thing that HMRC is becoming less London-centric. It is conceivable that someone could move to Leeds, Nottingham, Birmingham, Edinburgh, etc., at the salary that is paid below Grade 7. Realistically, the only people who can compete for jobs in London below Grade 7 are people who already have existing accommodation or connections in London. I call it "London privilege". I am really interested in creating and inclusive workplace and in particular around social mobility. Does the Civil Service have any campaigns or strategies to recruit people who are in care or have been in care. Thanks for your query Sarah. The Cross-Government Social Mobility Network @CGSMNet, supports members, raises awareness of social mobility issues and reaches out to promote the Civil Service to people from all backgrounds. The network will be interested in hearing from you and discussing ways to reach out to people who are or who have been in the care system. Why has this been published so late into the Civil Service Survey period? The Strategy is vague and fails to address significant issues that have been ignored by the Civil Service but because of it's lateness we are unable to comment. Particularly as it appears to have drafted in a bubble without input from members of the Civil Service. Hi Mark, thank you for your comments. It is clear from these and others on this blog that there is a range of views about what is meant by both diversity and inclusion, and that these views are dependent on individual circumstances. Understanding this is important to us, which is why we engaged heavily with civil servants during the development of the strategy. We consulted with staff networks throughout - creating an Employee Voice Group, giving networks a real say in shaping the strategy; we held workshops at Civil Service Live events during the summer; and we sought the views of staff across the country through Civil Service Local. We will continue to engage with staff as we move to implement the strategy. I have over the years taken numerous steps to try to make my workplace inclusive (including the 6 points above). 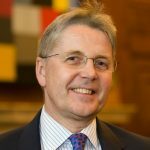 Unfortunately over the past decade I've increasingly seen extra-ordinarily poor decision making by senior leaders which has bred a climate in which people don't feel an integral part of the organisation, are fearful of raising issues, and are actively looking to leave the civil service. The simple fact that there is so much inequality, unfairness, unconcious bias and BHD in the civil service is the reason staff retention is such an issue. At least 50% of staff I currently work with are looking to leave, this is a terrible waste of talent and the money invested in recruitment and L&D. Firstly, I enjoy working in and see the benefits of a diverse group of employees. This plan would work in an expanding or stationary number of employees. However, with the civil service to be reduced in numbers by 30% in latest reorganisation, with I presume more reductions to come, there will be few jobs available to recruit into; so increasing diversity will be difficult unless only minorities are recruited - in an environment of very few stable career jobs, I can imagine nothing better to foster disharmony. Other than that the only way to change % category employments would be by discriminating against majorities in redundancy programmes - with similar disharmony resulting. Isn't it more about making sure that the diverse people we already have in the civil service are included and treated with respect - and that promotions are available to all and that the mix is represented fairly as you go up the grades rather than getting more white, more male, less disabled and so on the higher you get? I have the best conversations and debates in groups who are diverse. Wouldn't life be boring if everyone was the same! I think individual managerial roles for their leadership objective that principles of inclusion, diversity and how they need to create a fair and inclusive environment need to be specified in there. To start with, managerial objectives will help spread that culture of managers we need to promote an inclusive environment and hence promote that amongst more staff. For example as well, if more managers encouraged staff to join staff networking groups this would also be beneficial as it is helping spread the type of positive behaviours we need in the civil service. The strategy talks about the Civil Service as a single employer, yet salaries at the same grade for work of equal value in the same geogrpahic location can attract very different salaries, yet there is no mention of this.... Equal pay doesn't get a single mention. The gender pay gap gets a quick mention, 'we know there is an issue we've got the data and will collect more data' It poses the question how specifically will the gender pay gap will be filled and more importantly funded? The military had a gender pay gap until 1990 when they lost a court case and purse strings were cut and the issue was rectified. There is no pay gender pay gap in the military any more. In short this a poor strategy, the Equality Act 2010 is mentioned once at page 8, which says it all. Great Blog so far and clearly there are diverse thoughts about diversity; which proves how important the subject is. One of the reasons I indicate I'm proud of to say I work for the VOA on the Staff Survey is; just this; that we keep diversity high on the agenda and keep challenging the way we think and act. It's a disappointing blog, while the list of ways to build an inclusive environment is useful, it's all based on a strategy that has written without engagement from stakeholders (particularly members of the Civil Service). And it's been presented as a final version with no ability for stakeholders to comment and mould the strategy. By excluding rather than including stakeholders, the strategy has fallen flat on it's face from the very outset. What makes you think stakeholders have not been included? The strategy refers numerous times to consultation with employee networks. Hi I agree we should be as diverse as possible . A representative group from of Civil Service apprentices attended our office a few months back,they were all white,blonde 20's slim and female . Some very interesting comments here - not just the usual negativity that often dominates these pages but valid points and actual constructive feedback. As someone who is relatively new to the CS the D&I strategy is a great way for me to (try to) get to grips with the topic, other than e-learning. As for the first comment I read (Mr F), I have found the CS in general to genuinely care about D&I. I am fortunate to have had some contact with the D&I strategy team and they are impressively passionate and energetic about what they do. I'm all for respecting everyone regardless of which pigeonhole they are in, but D&E has issues which I'd like to address. 1) It makes people more aware of their differences- race, religion, gender etc. This surely is the opposite of what it should do 2) Diversity and Equality attempts to embrace religions and cultures that don't all believe in equality themselves. E.g. some religions see women and homosexuals as second class. 3) It has promoted positive discrimination, which has the word 'discrimination' in it. And appears to have its favoured protected groups, the so called minorities. 4) D&E, like feminism, is an ideology, or an opinion, which by definition we should be allowed to disagree with, but are we? Is anti-discrimination law an ideology or opinion? Is the Equality Act 2010 with its Positive Duty on public authorities to promote equality an ideology or opinion? I suggest that if you are not in favour of this then you are in the wrong career. Perhaps it would help if you thought about Inclusion as Not exclusion. As a disabled person with a mobility impairment I am often excluded by inaccessible environments and behaviours. Inclusion is about changing those environments and behaviours so that I can take part and achieve equality of outcome. Positive discrimination is illegal in the UK. Whilst it is evident that having a diverse workforce has many advantages for organisation, I am interested to know how, in reality is this diversity monitored. Do organisations have a quota for employees from a different religions or employees from an LBT background for example? Surely it must involve more than having an inclusive policy, which looks brilliant on paper but, is it enforceable in an everyday setting? Another point is that although direct discrimination is usually very easy to point out and raise, indirect discrimination is often a lot harder to prove when one is on the receiving end. There are no quotas - that would be positive discrimination. Positive discrimination is illegal in the UK. When talking about inclusion it should also be recognised that 'talented individuals' exist in abundance throughout the civil service and are not confined only to new recruits and those in line for/seeking promotion. When it comes to inclusiveness in the office I wholeheatedly agree we should always be doing our best to assist and include everyone we work with where appropriate in our exercises, activities, and day-to-day events. I however firmly disagree with the post-modern propaganda trying to force-feed us diversity like it's a be-all and end-all of life's problems. I don't care if I work in an office of all female/male, all black/white. As long as there is mutual respect for each other's skills & opinions, and people are hired as they are the best suited for the job. Meritocracy and equal opportunity is the key. Not box ticking. The problem is we do not yet have either a true meritocracy, or equal opportunity for all. That's why diversity is so important. So long as the senior levels of the Service are dominated by private school and Oxbridge alumni it cannot claim to be truly diverse. Everyone should be treated decently and with respect. All very warm and cosy but Sir Jeremy is just paying lip service. What the Civil Service needs is a range of DIVERSE SKILLS. From that, you will get a broad mix of the population but skills must come first. I was watching a Select Committee hearing on trade yesterday when Liam Fox said he would be happy to have a woman in his Ministerial Team. What he should have said was that the gender of his Ministers is irrelevant - as long as the skills and attributes are there. Mr Heywood. You and the executive team are doing an excellent job on promoting Inclusive Diversity. Unfortunately the message is not being understood by lower management thats the reason for so many negative comments. As a BAME person i have personally observed the lack of unerstanding of what leadership/inclusive diversity is all about at my work of place. Its come to the point that i have given up on providing feedback to my management. I do my " bit" keep my head down and look for pastures green. Keep up the good work Mr Heywood i really do hope you succeed and hope my identity is not revealed. Unfortunately as indicated in a previous post lower management promote diversity but their actions leave a lot to be desired. Diversity is a tick box exercise to enhance a managers CV. They have no real understanding of what diversity is all about at my work of place. Its been clear that most managers approach in my office fails to consider Diversity and have actually failed to support a number of colleagues who are covered under the equality act. Line managers are not allowed to show compassion or manage as they see fit and are now reluctant to challenge senior managers approach. Most Line managers are marked down or advised accordingly. I would like to Challenge Mr Heywood to actually walk the shop floor to observe how the diversity policy works in reality. Everyone seems to forget that inclusivity is not just about race, religion, ability or disability, but more so about how a team is able to work together. If a team has no home (insufficient desks, spreads out all through a floor plate with insufficient contact) no matter that the constituent parts work well together and respect each other and their abilities irrespective of differences, they will not be inclusive or effective - at least not as much as their potential suggests. And lest we forget, racism, sexism, bigotry and all the other negative stuff that goes on - it all has to be carefully taught and that starts early, but festers for life. Adults can learn to be more tolerant and not care about differences but it takes longer to overcome negative programming than it does to prevent it in the first place - I know we can't influence much of that but we can try! Some interesting threads, however who decided to leave "Equality" out of the title? Equality and Diversity are two different things but need to go hand in hand, diversity alone means difference, for those with differences based on the protected characteristics then you need equality, be it opportunity, treatment etc. I believe it should have been called Equality, Diversity and Inclusion. On a point of education and training, I would like to add that there are just over six hours of Equality and Diversity based training available to me and my colleagues. The issue I have is that it is not mandatory, whilst it is not mandatory it is not promoted and the vast majority of colleagues etc never undertake the training. I know there are issues regards time etc but that should not be an excuse, train and educate your workforce, you will see the benefits. The packages contain useful guidance and broaden knowledge which I believe may reduce the "blinkered" views of some of who we work with. I have pushed this point with little success, excuses seem to always be made and it seems to be acceptable. We get "management speak" and other rhetoric and an almost bullying and belittling style of management whenever anyone raises issues, whilst this is the case and staff surveys and the opinions gathered are ignored, you will change nothing. Absolutely Bob. I have been trying to push for mandatory EDI training - all the modules - for years and the reply that comes back is that people don't take well to it and don't learn as well if they have been told they MUST rather than go if they want to. However, unless they are given the information they are given free reign to carry on treating people badly as the general public perhaps DON'T understand the subtleties they need to know about. At least if they had mandatory training, they couldn't plead ignorance. Civil Service could be made more inclusive by stopping closing all local offices and therefore "excluding" part time, carers and people with disabilities who will not be able to travel to the big new shiny offices in major cities. How you can bang on about being the most inclusive employer by 2020 is quite honestly an insult to all the hard working civil servants who have made this their career job. Only to be dumped on the scrapheap because they cannot possible afford, have time or are physically able to move to a new office. To change an organisational culture in 3 years is a very ambitious target! As a former HR professional, I personally do not believe an organisation ever changes top-down, as you need to achieve buy in right across the workforce to bring about cultural change that ideally everyone - but at least the majority - agrees with. For an effective approach to achieving this, I would recommend commissioning an independent organisational audit to establish the true current 'baseline', identify areas of strength and weakness, then agree collectively how best to address them. (Yes, involve the unions). I've been involved in setting up local Diversity Network groups and they make a positive difference to minority groups, empowering them to help themselves. If HMRC aims for an Accessible Workplace concept, where reasonable adjustments are made to the workplace and internal processes from day one ('build it and they will come'), then all can join and thrive without individuals needing to stand out by asking for special adjustments . No-one has mentioned the topical elephant in the room yet - sexual harrassment in the Civil Service, whether of men or of women, since it happens to both. Don't believe it happens? Carry out an independent anonymous survey, then you will find out! As for the government, does not the Civil Service also need clear specific and independent reporting processes that do not rely solely on telling your line manager? The harassment may have originated in that management chain somewhere, or the manager may be dependent for their own career upon the harasser, and so, reluctant to act. Also, I've reported bullying and then been bullied myself as well as a result. It's not as easy as just telling us all what we should be doing!